Forget Peres, Lieberman has so many more interesting and idiotic statements these days. I wonder if his neighbors would have voted for him if he had only said the latest a little earlier. "Here is a picture of my settlement behind you, Nokdim, in the Judean Desert. I even agree to vacate my settlement if there really will be a two-state solution." That would be the two-state solution he advocated last week. There you have it, in black and white, and out in the open. But I'm not actually sure what everyone is shocked about. It is nothing new that Lieberman wants and desires a Palestinian State within the borders of the Land of Israel and on this side of the Jordan river. It seems the only people surprised are those that voted for the guy and didn't actually bother to read his platform. Lieberman supports the removal of Israeli sovereignty from any part of Eretz Yisrael where there is a local Arab majority. While he usually only talks about Uhm el-Fahm and the Triangle, this would logically includes Yafo, parts of Haifa, of course parts of Jerusalem (East and West) and so on. What do these people who voted for Lieberman in their ignorance (or after being duped) think he was saying? This isn't someone with some sort of "Loyalty to Eretz Yisrael", or even a Jewish-based vision of what the State should be. Who do they think would be the regional authority for these former Arab citizens of Israel? What entity would they be joining? What kind of Cantons was he referring to? I will repeat it again and again. If you wanted to vote Right, you should have voted for a religious right-wing party that has values. Lieberman's vision is anything but a traditional Jewish one. What if Bibi is right? With every anti-Semite crawling out from under their rock and getting a prominent in Obama’s administration, and other choice decisions on Obama’s part that are making it clear as to what category he falls into, perhaps Bibi is right! When recently asked about the crash of Meretz to 3 mandates, the secular Neturei Karta Rebbi Amos Oz responded that the interviewer counted wrong, as there are 4, the one in the White House. Caroline Glick also pointed some serious internal opposition issues that Bibi faces. Israel will be facing considerable issues with the upcoming administration; the most basic one is our continued existence as a State. So perhaps Bibi does need the fig leaf of the Left. If the Left is onboard, while it won’t stop the anti-Semites abroad from slamming Israel (it never does), but at least it will limit the damage they will try to do at home. Or perhaps he is hoping that our Leftists will have some influence with the Leftists abroad, in the hope that it will reduce, even to a minute degree, the attacks against Israel that are about to (that have begun already to) hit us, simply for defending ourselves or existing. Israel has never faced such an anti administration in the past, and while I feel sorry for America for what they chose for themselves and what it will mean for them in the long term, for us in Israel its far more existential. Well, if there are any lessons to be learned from these elections, it’s that it is a mistake to vote Likud, and it is a mistake to vote for any “Right wing” party where the source of their political positions is not derived from Judaic values. Obviously we all should have learned that from Sharon, but for some, the lessons don’t come easy. Here we have a potential RW coalition and the Likud is doing everything it can to avoid it. Bibi’s latest comment seems to indicate that he plans some serious economic measures that Shas won’t be able to abide by, so he will need support from a LW party like Kadima. Yet, why can’t he treat Shas with a little respect and see about working with them to implement his plan, as opposed to simply assuming they will oppose it (which may be true, but we don’t know that). Perhaps his plan is needed, but it can be tempered so that the weakest sectors don’t get hurt the most, and perhaps only Shas can point that out to him. And on the other side of course, it is clear that Lieberman can swing both ways to if he wants. And his political plans would take us back to the Partition Plan, and that was a bad plan 61 years ago too. In short, the only parties with any values are the religious RW parties, and most specifically Ichud Leumi – and unfortunately they may find themselves not in Bibi’s far Left coalition. If only more voters had voted intelligently and ignored the calls for strengthening the Likud (because of the Lieberman threat), or supported Lieberman because they were duped into thinking he was actually a right winger. That would have ensured a real RW coalition. Hopefully the voters will learn by the next elections. Under MK Ariel Attias (Shas) the communications industry underwent a number of revolutions, and could undergo even more. Another legislative act that Attias was working on under the previous administration was the creation of "Virtual Cellular Network Operators". These companies could offer whatever deals and programs they want. I suspect, probably what scares the phone companies most is not that they will be selling voice time, or even data bandwidth, but that they will offer SMS deals. People don't realize it, but SMS is 99.99% pure profit for the cellular companies. SMS data is transmitted within the data packets that are sent between the antennas and the phones all the time. All they do is stick the SMS data into the existing packet and it rides for free, it doesn't cost the cellular phone companies any additional bandwidth whatsoever. None. That's pure profit. Of course I'm exaggerating. Obviously they are worried that these companies will dig into their service related profits, especially their various package deals they force us to select from (does that includes insurance?) that we don't really ever use. Imagine when one of these new companies starts offering services at just above cost. Obviously the cell companies will still profit nicely on infrastructure fees (bandwidth usage) as usage will also increase, but their profits from selling us more than we need at more than we should be spending will start to disappear as real competition is introduced. So here's hoping Attias continues as the Communications Minister in the next government. THE FOLLOWING POST IS NOT ACCURATE. THANK YOU TO "PESKY SETTLER" FOR CATCHING IT. JOESETTLER WAS TRICKED BY AN EMAIL SENT FROM A (FORMERLY) RELIABLE SOURCE. I APOLOGIZE FOR THE INACCURACY AND I AM QUITE EMBARRASSED AS I USUALLY CATCH THIS STUFF IN ADVANCE. Interviewer: How come so many more Palestinians have been killed in this conflict than Israelis? Netanyahu: Are you sure that you want to start asking in that direction? Netanyahu: Because in World War II more Germans were killed than British and Americans combined, but there is no doubt in anyone's mind that the war was caused by Germany's aggression. And in response to the German blitz on London, the British wiped out the entire city of Dresden, burning to death more German civilians than the number of people killed in Hiroshima. Moreover, I could remind you that in 1944, when the R.A.F. tried to bomb the Gestapo Headquarters in Copenhagen, some of the bombs missed their target and fell on a Danish children's hospital, killing 83 little children. Perhaps you have another question? "In light of the scope of the challenges Israel faces – Iran, terrorism, the economic crisis and unemployment – a broad unity government is a must," Likud Chairman Benjamin Netanyahu said on Thursday evening. Color me confused, but let's examine that statement in context. Iran. The Likud-led majority coalition of Right-wing partners stand behind whatever actions Bibi will decide. So why does he need Kadima or Labor? As a fig leaf? To justify himself to the world? Does Bibi really think that Kadima or Barak would be so short-sighted or stupid to attack him in the world press as he defends Israel against a nuclear Iran? Terrorism: The Likud-led majority coalition of Right-wing partners stand behind whatever action Bibi will decide to take to definitively fight terrorism. So why does he need Kadima or Labor? As a fig leaf? To justify himself to the world? To prevent him from taking decisive action against terrorism? So what if Kadima or Barak will be so short-sighted or stupid to attack him in the world press as he defends Israel against terrorism? The Economic Crisis: The Likud-led majority coalition of Right-wing partners stand behind with whatever action Bibi will decide to get us out of the recession, with minor modifications so as not to hurt the poorest sectors that got beaten up badly last time by his corrections. So why does he need Kadima or Labor? As a fig leaf? The socialist Labor party could hardly agree to Bibi's capitalist reforms, and we already know that Kadima supports Bibi's plan (even from the opposition) as they adopted it for themselves. That would look rather hypocritical to attack it when its built into their party's platform. Unemployment: The Likud-led majority coalition of Right-wing partners stand behind with whatever action Bibi will decide to take to reduce unemployment. So why does he need Kadima or Labor? A broad unity government is a must: Why? The Likud-led majority coalition of Right-wing partners stand behind with whatever action Bibi will decide to take. His natural partners support him. Bibi has a clear Knesset and popular majority. The Left wing parties are in a binary relationship with Bibi, either they support the Likud's positions as it is their same exact position, or they entirely oppose them and there is no middle ground. 1) The assumption that without it, the opposition might traitorously go overseas for support in blocking Bibi, never having heard that politics stops at the border (something the far Left never learned). And if that's the case, can you really trust them in your coalition either, imagine the damage they will do from the inside (I know, "...keep your enemies closer", but there is a limit). 2) Bibi really is afraid to boldly lead the country, and is looking for Kadima and Labor to provide him with a fig leaf. 3) Bibi really has gone Left, and needs/wants Kadima/Labor to pull him over the edge, as opposed to the Right Wing parties which will keep him balanced and fulfilling the will of the voters. 4) Bibi plans to do something that will seriously annoy the Likud's natural partners (and not part of the Likud's platform), and needs a safety net. 5) Bibi is afraid of what the Left will say when he does what he has won the mandate to do. None of these explanations are particularly comforting. A friend just called up the Cinematheque (that's how they spell it) in Jerusalem. He wanted to find out if they would be showing the Oscars this year like they have in the past. OK people, what would you do at this point? We bought a small home appliance, a hand blender (NIS 400) from a store in Bnei Brak. But then, within a week of using it, it broke (actually 2 of its add-on pieces broke). The plastic part on top of the whisk that spins around actually melted(! ), and then the plastic connector for the chopper unit (that also spins around) cracked. 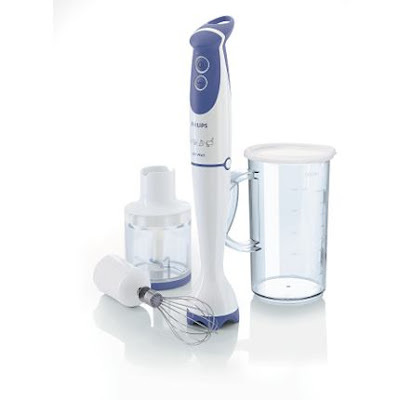 We see some melted plastic inside the hand blender too, but we don't know if that is from the unit, or from the whisk. We brought it back to the store and they said that kind of damage isn't included in the 1 year warranty. When we asked what kind of damage is included, they said, only if the device doesn't work (and what kind of damage would that be exactly)? After numerous phone calls, no solution was provided by the store and we were left with a broken blender,. Finally we asked about buying replacement parts (because they didn't think to suggest that even). Oh, for that we need to directly go to the service center ourselves. How I miss reputable appliance stores in the US that would have simply replaced the item on the spot. In other news, as Likud lets out leaks that Lieberman won't be getting everything he is asking for, Lieberman's people happened to mention that during his vacation in Russia, he did manage to find plenty of time to talk to Bibi and Tzippy. Suddenly Lieberman realizes that he doesn't hold all the cards, and he can easily find himself out in the cold or worse, the cause of new elections (which would destroy his party), so he is forced to show that he is involved. As an aside, many of Lieberman's current conditions are the same he demanded of Olmert, yet he did nothing with them then either. Most likely we'll see Lieberman in a Likud coalition in an arrangement that could have been resolved a week ago if only Lieberman's ego had only been more in line with reality. Hopefully this will teach him a lesson to be part of the solution, and not part of the problem. Moral clarity is such a rare event, that when it appears on that rare occasion it shines even brighter. As part of the Arab Boycott of Israel, the United Arab Emirates have refused to allow the entry of the Israeli tennis plater Shahar Pe’er (ranked #45) into their country for the Dubai Women’s Tennis Tournament (as well as Andy Ram in the upcoming Men’s tournament). In response, a number of US companies and organizations have taken decisive steps to protest and fight this decision. While the Women's Tennis Association (WTA), and Chairman Larry Scott’s weak response didn’t shine particularly bright, others have. The Wall Street Journal has pulled their sponsorship from the men’s tournament. The Tennis Channel (in the US) has announced they won’t broadcast the event. Two bright examples of moral clarity. Good for them. If only the rest of the world showed such moral clarity. Which reminds me, don’t ship the cancer detection units to Dubai. With the latest news from Israel one can only hope that those who choose to boycott or divest from Israel will take their decision quite seriously. Israeli scientists have created a new device that can identify early stage cancer in people, and more so, it can even identify the type of the tumor with 92% accuracy. The device is an "electronic nose" that will eventually be turned into a breathalyzer test for early cancer detection. The "nose" was developed by the team of Dr. Hossam Haick, of the Russell Berrie Nanotechnology Institute in the Technion's Faculty of Chemical Engineering. As an aside, Dr. Haick is a Christian from the town of Nazareth, his team is made up of mixture of Jews, Moslems, and Christians. Shas must join a Likud formed coalition for one reason: "Aryeh Deri". In a few months time, Aryeh Deri will be bursting back onto the Shas scene and trying to wrest control away from Eli Yishai. Aryeh Deri is a leftist. Eli Yishai is not. If Shas is sitting with Kadima when Deri steps back into the picture you can bet that any chance of Shas sitting with the Likud is over, and Yishai will find himself kicked out of the picture. Deri will go to Rav Ovadia Yosef telling him that he has a better connection to his friends at Kadima than Yishai does. But, if Shas is with the Likud, after Deri's latest anti-Bibi outburst (no matter how true), he won't be able to put forward that argument and Yishai's position is more secure. And they aren't likely to leave the coalition once in. As for can they sit with Lieberman? They will sit with him either way (and they have). But I still feel sorry for all those dupes that voted for Lieberman thinking he was a right-winger, and that by voting Lieberman they would definitely be part of a right-wing government. Unfortunately the rest of the country has to pay for them being fooled. Have you ever had to opportunity to talk to an Israeli lawyer, or receive a phone call from them? They introduce themselves as is they were someone important or even relevant, such as a doctor. "Hello, this is Lawyer Moshe Shlemazal." I'm being serious, they all introduce themselves by their job, as if that is supposed to impress somebody. Every time that happens, forget that I have to hold back the laughter, I have to hold back from telling them the latest lawyer joke I heard. I find it strange that Israeli society places such high value on a profession that is, well, so flooded with mediocrity in attempt to add a cheap label in front of their name, and that doesn't always have the best of reputations either. In light of that, what is more amusing is that most doctors I know in Israel do not mention the title "doctor" when introducing themselves. They seem to be much more secure with themselves and their identity. This of course excludes doctors who become "professors", at which point the ego factor kicks in, and don't you dare call them Doctor once they get that new title. According to sources, Lieberman is asking for the Defense of Foreign Ministry. That reminds me of when Amir Peretz demanded and received the Defense Ministry. Not having any experience in the field, we know what kind of mess he made of that. Furthermore, for Peretz it was clearly an ego thing. His experience and his calling was in Work and Social Welfare issues, yet here he was going for the "prestigious" job instead of the job he was more eminently qualified for (though in his own socialist way) and where could have made the changes he wanted. Now hands down, Lieberman is much smarter than Peretz, but yet when he had the custom made "Strategic Affairs" ministry, he did absolutely nothing with it to protect us strategically. As for the Foreign Ministry, I can see him as ambassador to Moldovia, and while I don't know how good (or bad) his English is, will Lieberman demand a loyalty test of Barack Obama too, to determine if he is a good Arab/Moslem or a bad Arab/Moslem? But more seriously, his position on Foreign Policy will be to rewrite the borders of Israel to exclude parts of the Land of Israel (and Jerusalem) where there are Arabs living on it. That's not exactly a foreign policy I want to see implemented or promoted. On the other hand, he may perhaps take a tougher, more Zionistic (his own version of it at least) stance than his predecessors in that ministry, so if I had to choose between the two, I'd rather he got Foreign than Defense. After all, how many countries can he really scare into permanently boycotting us? An armed LAU missile launcher was found in the town of Elad on Saturday night. Why in the world was there an armed missile launcher in a Chareidi town? I'll admit, we are all worried as to what Lieberman will decide. After all, he isn't a real right winger (in the Jewish sense), and he certainly has no problems sitting in a Left wing government. His current behavior goes far beyond negotiating and shows that he plans to be a thorn in whatever government he chooses to join (he reminds me of the story about the body parts that were arguing as to who is the most important part of the body, if you know the joke, you know what I mean). But here is the irony. At this point all the religious parties have realized that his secular agenda is an anathema to them (hopefully this includes Shas and Bayit Yehudi). They will risk sitting with him in the Likud because they know they are most likely able to block him. But in a Kadima government that would be all but impossible. This means, if Lieberman chooses Kadima, even with Meretz and Avoda by their side, the only way they have more than 59 seats is if one of the Arab parties throws them their support! Can you imagine that? Lieberman helps form a Left wing government through Arab support! Now that's ironic (and I would not put it past Lieberman to try that, as all he wants is power to set up his McCarthy lists). So, in most likelyhood, he will choose the Likud first, and Bibi doesn't need to give him everything under the sun. In a year or two, Lieberman may decide to pull out for other political adventures, but that leaves Bibi with a year or two to round up some Kadima rejects and bring them over to bolster his party (or even Labor!). In any event, Bibi will have to find a way to defuse Lieberman's exagerated strength. But still, it is ironic that if Lieberman chooses Left, he will most likely require the Arab support to do so. Congratulations are in order to the town of Efrat. After years of battle with the various government ministries, the government has finally officially recognized the Eitam hilltop as State land and part of the Efrat Municipality and they will hopefully be able to build there in the future. The Eitam hill is important high ground in Judea and Gush Etzion, and was recognized as such in the early 1900's when much of it was privately purchased by Jews. Today, the residents are celebrating with a planting ceremony. Call me cynical (not you JoeSettler!) but I’m wondering if Bibi can hold off creating a coalition until after Lieberman gets thrown in jail. On one hand, we know that the State is often quick at loudly proclaiming a politician’s alleged dirty laundry, but on the other hand we saw what that actual dirty laundry did to the political stances of Sharon and Olmert. Do we really need more of the same stuff, but now from Lieberman? Apparently Lieberman is going to the President and recommending himself as Prime Minister. Now that’s a scary thought (Did I mean Lieberman as PM, or that he would have the Chutzpah to think he has the qualities needed to even consider nominating himself?). There is also no doubt that Lieberman is making outrageous demands of both Bibi and Livni, far beyond the size and actual importance of his small party, and only possible due to the defects in our electoral system (exactly what Shas used to do). What we now have are all the ingredients for an unstable coalition. Lieberman obviously can’t be trusted, and the alternative is Kadima or Labor in the coalition – neither options any good. Worse, what we could end up with is actually a leftwing Kadima led government with Labor and Lieberman, though it will still need another linchpin party, and that would an interesting question as to who it could be. And if that happens, besides feeling sorry for the country, you have to feel sorry for all the poor dupes that didn’t read JoeSettler, and thus Lieberman was able to trick them into thinking he was a right winger and not an opportunist with limited values. So the best hope for the country right now (if Lieberman doesn’t get off his high horse) is that Lieberman gets very quickly thrown in jail, and an actual right winger (Uzi Landau) take over the Yisrael Beiteinu party and helps create a stable government. Things are still too close to call, but there are some interesting things to consider. Bibi shot himself in the foot twice. First by obsessing over Feiglin, and then by saying he would prefer a National Unity government. He lost all those Right Wing votes to Yisrael Beiteinu as a result. Likud did not lose any seats to or because of Ichud Leumi or Bayit Yehudi. Lieberman is holding out on declaring he will support Bibi, but I highly doubt that Uzi Landau would consider joining Kadima no matter how much he dislikes Bibi. If Lieberman doesn’t want a custom tailored ministerial position, then most likely Lieberman will want to be Minister of Interior Security (that way he can give his loyalty tests and block the police investigations as the head of Israel’s version of the KGB). Of course he may not be able to have that position (or any position) with all those criminal investigations over his head. There is no doubt a bittersweet taste in the mouths of many at the moment. On one hand, neither the Likud nor Ichud Leumi received the desired number of votes on an individual party level. On the other hand, all the Right Wing/Religious parties as a whole achieved a decisive victory over the Left. And you know what? I am not so sure this is such a bad thing. There will definitely be a bit of horse trading in the beginning, and a bit of extortion on the parts of Shas and especially Lieberman. But once the dust has settled, all the RW and religious parties will (hopefully) find a way to work together. It means compromising, and more importantly it means that unilateral edicts won't be easily passed without a consensus. Israel seriously lacks any real system of checks and balances, and it has always been my opinion that the more small parties there are, the better. Besides that small parties are closer to the voters, it means that it is difficult to reach a situation where one or two parties can demand everyone do what they say, because it creates a situation of mutual reliance (aka: checks and balances). What this means is that it comes down to the personalities in charge. There can either be a permanent deadlock situation where nothing happens, or there can be a healthy situation where everyone gives a little and gets a little in return. I know it's expecting a lot from Israeli politicians, but I'm counting on the latter. As a reader pointed out, I haven't really explained (on the blog) why (every)one should vote for Ichud Leumi. 1. Katzaleh. Katzaleh, the head of the Ichud Leumi party is a person who lives Jewish values. He is a leader. He is a builder. He doesn't let anything stop him. From all the candidates in all the parties, Katzaleh integrally represents the ideals and values that I want to see in someone taking a role in leading this country. 2. Jewish values. The party stands for traditional Jewish values. 3. Settler representation. Of all the parties, Ichud Leumi certainly represents the needs of the Settlers, and we are the heart of this country. 4. Capitalism and Economics. Free market promoters always look good to me. 5. Right wing. It's not enough to be Right Wing. Without a Jewish value system to back it up and define it, you end up with people with values like Sharon, Netanyahu, or Lieberman. 6. The Ichud Leumi platform. Go to the Ichud Leumi website and look at their detailed platform. It's simply excellent. First the police an High Court play their standard game of blocking the democratic rights of people they don't like when they blocked/prevented/indefinitely delayed Baruch Marzel from holding an Israel Day Parade in the Arab populated Israeli town of Uhm el-Fahm. Ostensibly because the Arab citizens of Israel would get violent if an Israeli flag was dared to be waved in their town. But that's when other forces set in. For elections, a computer program randomly selects where each party must send an elections supervisor. Ironically, the National Union received none other than Uhm el-Fahm. They chose Baruch Marzel to be their electoral supervisor in that town. The residents of Uhm el_Fahm have threatened violence in response. So upon hearing that news, Attorney General Mazuz tried to block Marzel's appointment! Can you imagine that?! A government official doesn't like the randomly chosen party who is set to supervise a voter station against fraud (in a town known for a lot of voter fraud), so he tries to get them removed! That sounds suspicious to me. Meanwhile the computer selected that the radical Arab party Raam-Taal to supervise in Beit El. Raam-Tal was one of the Arab parties recently disqualified (and then reinstated by the High Court) for expressing positions against the existence of the State of Israel. Despite this, the residents of Beit El said the radical Arab supervisor would be welcome without any of the violence that Marzel is threatened to be greeted with in Uhm el-Fahm. But alas, it is not to be. MK Ahmed Tibi (Arafat's former interlocutor) said his party does not recognize settlements and therefore will not be sending a supervisor to the town of Beit El. It's TU B'Shvat! We ate fruits tonight. It was awesome. Maybe tomorrow we'll plant a tree. Anyone foolish enough to vote for Lieberman thinking they may get a right-wing party, is in actuality giving a vote to Tzippy Livni and Kadima. There has been much speculation as to why Lieberman has been growing (at the Likud's expense), but one interesting theory espoused is that Lieberman is getting the Tommy Lapid/Shinui vote. Those people who voted out of hatred for the Hareidim, are now voting out of hatred for the Arabs. That's a scary thought. But let's get back to the topic at hand. Lieberman sat in the Kadima government and propped up Ehud Olmert - exactly when his government was in such bad shape that elections were just around the corner. Lieberman has no problem sitting with a Leftist party like Kadima, and has quite decisively not announced he would support a Bibi government over Livni's. You might say he is posturing before elections, but that clearly is not the case. Lieberman will sit wherever he gets more ministerial seats. Worse, as Caroline Glick pointed out, Leiberman did nothing to prevent or slow down Iran's nuclear ambitions while he had his custom tailored ministerial seat, and worse, he kept the frozen Kadima government in power and delayed elections which just extended this inaction. There are plenty of good right wing parties to vote for such as Ichud Leumi and the Bayit Yehudi, (and even the Likud is better vote thant Yisrael Beiteinu), but a vote for Liebeman/Yisrael Beiteinu is a vote to support Kadima. I believe it may have been Ehud Barak who coined the phrase “There is no military solution, only a diplomatic solution”. Certainly it was some disconnected individual on the Left. For one thing, this is simply obvious, we have tried and implemented all the reasonable and unreasonable diplomatic solutions (short of destroying our country outright) and they have all failed and have all resulted in more violence. Whereas every time we have actually fought terrorism (Jenin, Gaza, proactive operations in Judea and Samaria), that has resulted in a real lull in terrorism (simply due to destroying their immediate terror capabilities) – but unfortunately we keep stopping short of our goals due to the diplomatic interference, both internal and external. I would propose further that the phrase “There is no military solution, only a diplomatic solution” as said by our local leftists, is not referring to the Peace process, but is actually a projection and verbalization of our internally caused weakness. As long as there are wonderful IDF soldiers defending us, the Arabs will not be able to defeat us with a military solution, but as long as there are Leftists and those without conviction in our Government, the diplomatic route is the way to destroy Israel. There is a Medrash that says that when the Children of Israel came back to the Land of Israel to bury their father Jacob, Eisav and his men blocked the way and said that the Cave of the Patriarchs belonged to them. The children began to argue and sit around the negotiations table, and they even sent Naftali back to Egypt to bring back the deed to prove ownership – even though all sides knew that the cave belonged to Yaacov. The story continues on with the son of Dan, Hushim, who was deaf and didn’t participate in the argument and negotiations with Eisav and his men. He wasn’t involved in the diplomacy, he wasn’t busy hearing the other side and letting them confuse him with lies and subterfuge. So Hushim got up, hit Eisav (who was trying to rob them in broad daylight) over the head and killed him (the story continues that Eisav’s head rolled into the cave where it lies till today). Proving once and for all there is a military solution – as certainly even if shown Yaacov’s deed to the land, Eisav wouldn’t have given up, and would have continued using diplomacy to stop the Children of Israel (until he would get tired of that game and moved on to trying to kill us first - as was his reputation as a murderer). The lesson is, if someone has bad intentions, negotiating and engaging them in diplomacy is not the solution and won’t stop them from trying to kill and rob you – whereas imposing a military response is the solution. Are we going to have an Election War? Iran wants a war with Israel (but not to fight us directly yet). One of the boarded Iranian cargo ships was smuggling weapons not just for Hamas, but also of the type Syria uses - weapons that Syria would need to attack Israel. First Iran sent their proxy Hezbollah. Then they sent their proxy Hamas. We learned our lessons in the first war, but Iran learned their lessons in the second. What's next is to have Hezbollah and Hamas (and Syria?) attack us simultaneously and for them to take advantage of the information they gleamed of our fighting tactics. Hamas hasn't stopped firing since we pulled out, and every launch is a thumb in the eye of... not just Israel, but also Hezbollah who have been busy rebuilding their arsenal instead of shooting us. But with the Hezbollah tunnel found up North the other day (into Israel), the various Hezbollah missiles stopped just prior to launch these past few weeks, things are poised at the edge, and everyone is just waiting for Iran to give the word. Will it be before, during or after elections? I hope we didn't become to overconfident after the Gaza war and we continue with our trust in God for us to win the upcoming war. Lots to talk about today (I hope there is enough time). I was talking with my wife, and asked her if there was anything Shas accomplished of note during this entire term. Looking at their ads, they certainly aren't mentioning anything of note. Yet here they are trying to woo the Religious-Zionist vote as if they helped us, or anybody else, but their private school system. My wife looked at me like I was nuts, and said what about the entire communications revolution that Minister Attias implemented. I looked at her, and realized she was right. But if that is the case, then why aren't they advertising it? So my wife explained to me that she just said why it's not being toted. Because it was created and implemented by Shas Minister Ariel Attias - probably the most effective Shas Minister ever - and the biggest political threat to Shas party head Eli Yishai. Attias is one of those ministers that stands out from the pack as actually having accomplished something productive (for the entire population) during his term. Yishai is completely threatened by this up and coming party member - so therefore Shas's biggest success is never going to be publicized as part of their ad campaign. I mention this because before his term is over Attias is trying to pass one more communications revolution: kick-starting WiMax in Israel! I haven't seen the details or analyzed the technical side of what he wants to implement, nor do I know where he stands on other political issues, but the fact that he is trying to get this going at all shows a far-sighted thinker who belongs in a better party than he is now - or perhaps at the head of his party. Everyone hates the Jews until we're gone, is how the saying goes. With Antisemitism openly on the rise in Turkey, Israelis have wisely decided to stop visiting that country as tourists - formerly a very popular destination. And as a result, the Turkish tourism industry is feeling the crunch (as Israelis are a significant portion of their winter guests). Hoteliers are asking Israelis to ignore the hate-filled atmosphere in their country, and visit the country - saying it is safe despite the word on the street. But Israelis seem to have gotten some sense knocked into their heads and don't plan to visit a country that helps spread propagandist lies and spews hate against them. But the Turkish tourist industry needn't worry, Israelis have short memories, so they'll be back soon enough for their Turkish baths. In Israel there is a law, if you own a TV set (working or not) you must pay a TV tax. This is a tax directly collected by the Broadcast Authority. And if you don't have a TV, then you don't have to pay this tax. Rumor has it that the Broadcast Authority has TV Tax Men that go around to houses to see if there is really a TV there or not. But no one has ever actually seen one. As JoeSettler readers know, we don't have a TV. For years we have been trying to get the Broadcast Authority to stop sending us threatening mails, because we certainly had no intention of paying this tax. We've sent faxes. We've even gone down to their Jerusalem offices. But to no avail. They even started sending us more letters after we visited them. Even a nasty lawyers letter (to which I called up the lawyer and started screaming at them). Last week we met the mythical TV Tax Man. He actually knocked on our door. And we were so glad to see him. Finally we would finish with these nasty and annoying letters. We invited him in to search our residence, but he declined. He asked us some questions, and tried to trick us into answering that we still have the old broken TV set (as then you would have to pay the tax). But to his obvious disappointment, we simply don't have it in our home anymore. And that was it. He left, and now we'll see if the letters stop. But what was simply interesting was that after decades of hearing there is such a person, we finally got to meet one in person. Now how many people can say that?